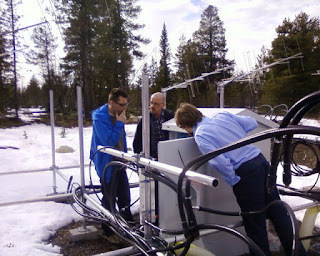 As we wrote earlier, we went to Kiruna last week as part of the planning for the demonstrator array work. 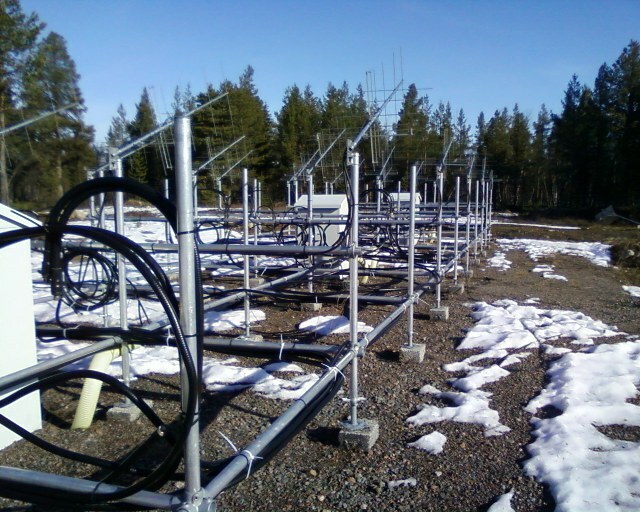 The Kiruna EISCAT Demonstrator Array is a phased array of 48 Yagi antennas, arranged in either a 4×12 grid or 4×6 grid... depending on he configuration. 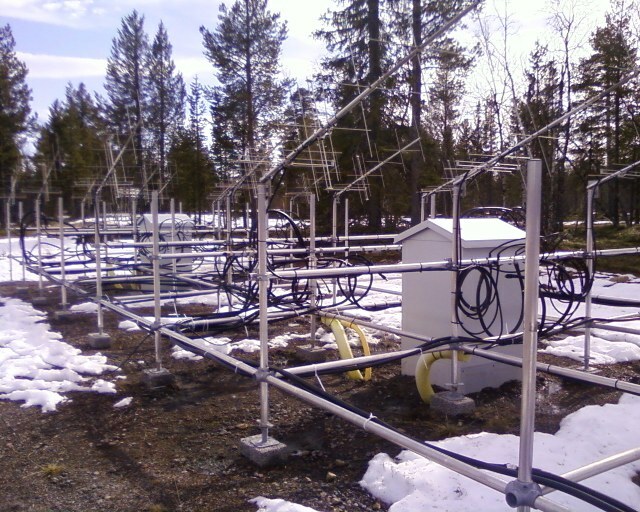 It operates at VHF frequencies and is capable of detecting signals from the VHF transmitter in Tromsø.The demonstrator array was mainly built to be an experimental test bed for the digital receivers and digital beam steering that was proposed in the EISCAT_3D design study. Part of the work that the KAIRA team is carrying out is related to this work.